Ordered a delivery but sadly the food didn't taste fresh it tasted like yesterday's food the rice and chicken tasted awful so dry and shrunken! They have to improve on being honest and not cut corners. Ordered a takeway.. Food arrived on time, nice and hot. It was carried in two "coolers" to keep it hot. Chicken Tikke Massala was perfect, as was the Tandoori Korma. The saag paneer was great too. Will ve making this my local.. 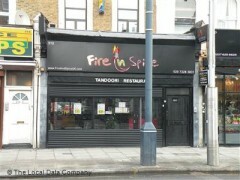 Warm and welcoming atmosphere excellent food at reasonable prices. Thought I'd try out this new place... and really glad that I did. Very nice food and service was also very friendly.